Melanie Brock could not believe that she, the daughter of wealthy New York City parents, was homeless in Dallas, Texas. 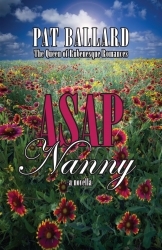 ASAP Nanny is a nine-chapter novella. 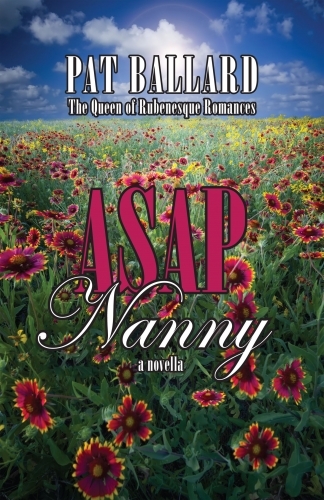 The ebook also contains the first chapters of all of Pat Ballard's books, so it's a perfect way to dip a little further into the Queen of Rubenesque Romance's universe! After savoring the novella, you'll be able to read the first chapters of Adam & Evelyn, Dangerous Love, The Best Man, Abigail's Revenge (with the prologue as well), A Worthy Heir, His Brother's Child, Nobody's Perfect, and Wanted: One Groom, and a lengthy excerpt from the title novella of Dangerous Curves Ahead: Short Stories. Following the excerpts from Pat's fiction you will find her 10 Steps to Loving Your Body (No Matter What Size You Are)—the steps, that is, not the entire book—and several essays from Something to Think About: Reflections on Life, Family, Body Image & Other Weighty Matters by the Queen of Rubenesque Romances.